I’ve always loved the planar aspect of Dungeons and Dragons. While it’s not something unique to this particular vein of entertainment/storytelling, D&D opens up planar travel and interaction far more than any other medium. 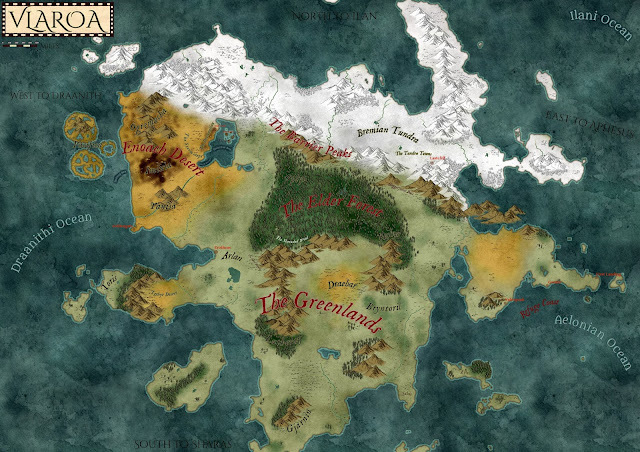 Adventures can take place in the blazing wastes of the Elemental Plane of Fire, the perfectly balanced streets of Mechanus, or on any of the infinite layers of the Abyss. Monsters can originate from the dark mists of the Shadowfell, the colorful forests of the Feywild, or the sparse stretches of the Astral Plane. I love the various planes of existence in D&D for the many stories they can tell. 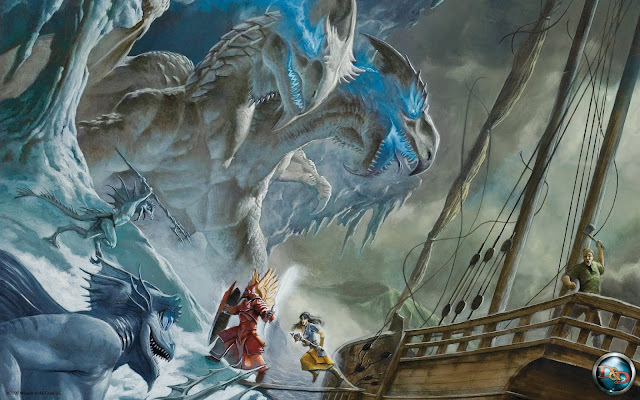 Luckily, Mordenkainen’s Tome of Foes is a book about the planes, from the myriad of conflicts that occur on them to their inhabitants...and it's been released! The book is available everywhere, as of right now. 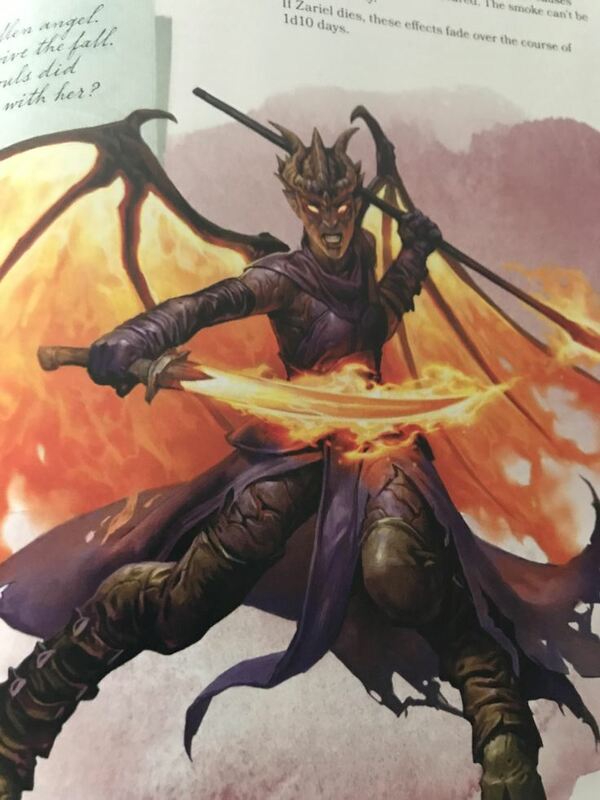 Today, we’re briefly scrawling over the pages of Wizards of the Coast’s latest book as I review what I believe to be fifth edition’s first Manual of the Planes. 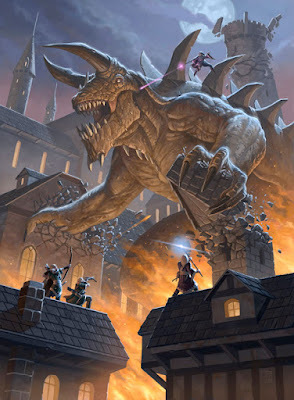 Mordenkainen’s Tome of Foes is not a great book for basic players, but it’s a fantastic purchase for dungeon masters and those who love reading about the lore of the Dungeons and Dragons multiverse. As I am both of the latter, I adore the book. For the dungeon master and monster creator in me, the devils and demons roll tables are utter genius, the many monsters within are well designed and beautifully depicted, and the lore contains juicy plot hooks for my four ongoing campaigns. As a reader, the lore of the book also reads smoothly, is entertaining, and, as with all WOTC products, is written masterfully. Mordy’s also contains plenty concerning the planes of existence, such as powerful creatures from them like maruts, to a mountain of information about the Abyss and Baator. However, the player options are lacking, and are simply an afterthought or are meant to give players a reason to buy the book. Like I said before, the book is great for dungeon and loremasters, but not a smart buy for regular D&D players. The first five chapters of the book dive into five grand stories of the Dungeons and Dragons multiverse. The book begins with an overview of the Blood War, an ancient conflict between the fiends of the D&D multiverse: Demons and devils. This section is fantastic, filled with a plethora of plot hooks and ideas for dungeon masters, and even contains a few player character options. Who knew devil legions could have such flamboyant names? By far, my favorite pieces of this section are the devil and demon customization tables. 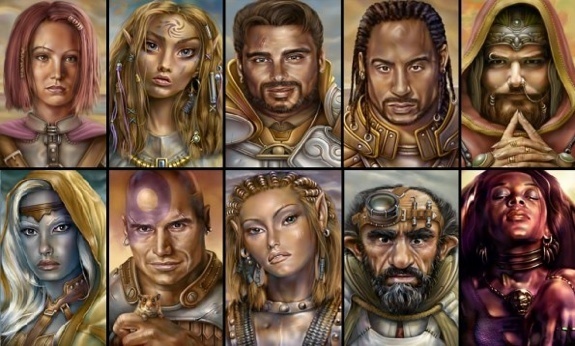 The second chapter delves into the story of D&D’s nearly immortal race: Elves. Mordy goes over how elves were created, all of their various gods, and dives into the drow’s history. The information about the drow is my favorite part of chapter two. 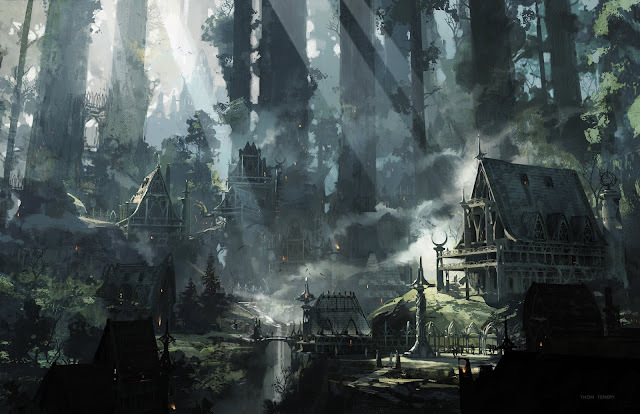 Mordenkainen’s midsection mines the history forged by dwarves and duergar. Once again, the best part of this section is the dark lore of the duergar. 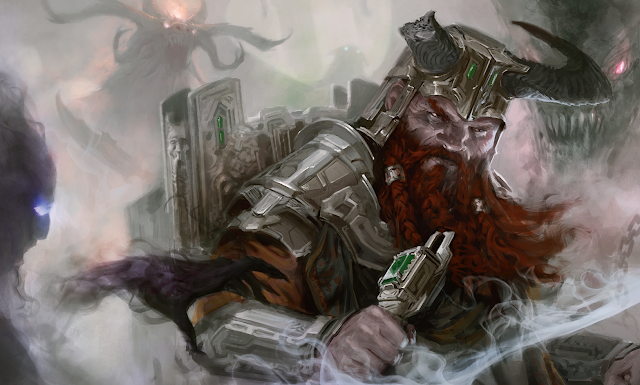 It includes an amazing piece with illithids and dwarves, as well as spectacular art of a dwarven citadel. Chapter four dives into one of my new favorite races: The gith. From their conflicts with each other to the githyanki dealings with Tiamat, I learned a lot and reaffirmed knowledge I already knew. Gith are also a playable race, now! 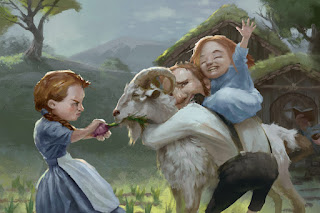 Finally, chapter five ponders the true meaning of halflings and gnomes in the D&D multiverse...and goes over some interesting stuff that establishes them, as I wrote previously, as the most peaceful folk in D&D. Every section is wonderfully written, full of evocative artwork, and rife with story ideas for dungeon masters and players alike. As expected, it lacks mechanical information, thus regular players will find this section dull. I definitely did not. 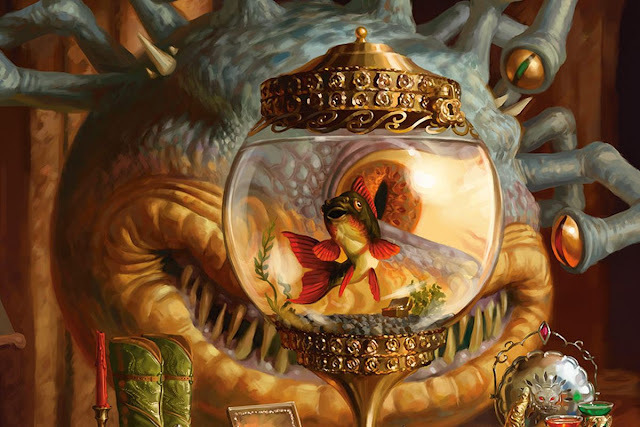 The final chapter of Mordenkainen’s Tome of Foes provides dungeon masters with a multitude of monsters both large and small, and it’s absolutely wonderful. Unlike most of the previous monster books, Mordy’s contains a slight majority of powerful creatures, from archdevils and demon princes to elder elementals and powerful humanoids. Each creature has its own beautiful piece of art, stat block, and lore blurb. Thus far, I’ve not found a boring creature. Everything I desperately wished for awaits within this book: gray renders and orthons, drow matron mothers and strong gith, and even Zariel, the most badass monster in the book. 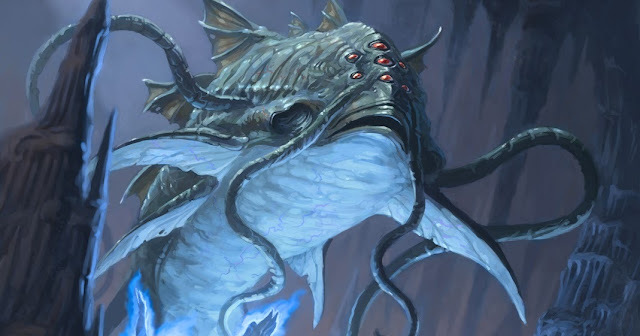 In short, Mordy’s provides quite a few extraplanar and powerful creatures to add to a dungeon master’s arsenal. If you’re planning on playing past level ten, this book is well worth picking up. The book is not a must-have for players but is a necessary addition for dungeon masters and lore-lovers. The stories detailed in the first five chapters provide tons of plot hooks, character ideas, and background for any Dungeons and Dragons campaign. 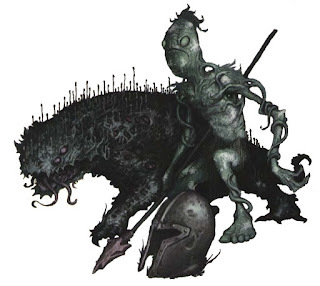 The creatures in the sixth chapter of Mordenkainen’s Tome of Foes are incredibly well designed and add a variety of foes to the arsenals of dungeon masters across the world. Get Mordy’s if you love lore or are a dungeon master. Don’t get it if you’re a player who doesn’t care about the conflicts of the greater D&D world. Next week, we’ll be doing a recap of the Stream of Many Eyes and looking at what the next D&D storyline is! *Note: I misused scrawl. Oops!